U-Reach Data Solutions Inc.: What is Secure Erase? If you keep business, medical, or personal financial information on disks, simple deletion is not enough to protect the data when disposing of the equipment. Besides identity theft,data loss may leave you or your company liable under federal or state laws. How does Secure Erase work? Secure erase overwrites every single track on the hard drive which includes “bad blocks” based on the ANSI ATA specification that has been approved by NIST 800-88 for secure erase of hard drive up to confidential level. The traditional method is by connecting each hard drive to a computer system to do the tedious task. These old techniques are way too slow and why not use a more reliable method by using U-Reach’s CT & IT HDD Duplicator Series that can help speed up the process in mass secure erase. 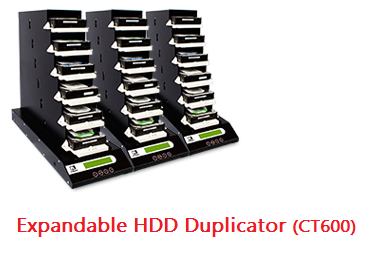 ‧Optional adapters to support various HDDs: SATA/IDE, HDD/mSATA/eSATA/SSD/iVDR. I was planning to replace old computers in my office with the new ones, so I was looking for R2 certified recyclers in Oklahoma, so one my friends shared the link of Cdrglobal.com through the messenger app. It helped destroying sensitive data from hard drives of all computers and reusing them for some other purposes, without any worries.